Gary Fleet joined Lion Containers in April 2018 as Fabrication Coordinator. 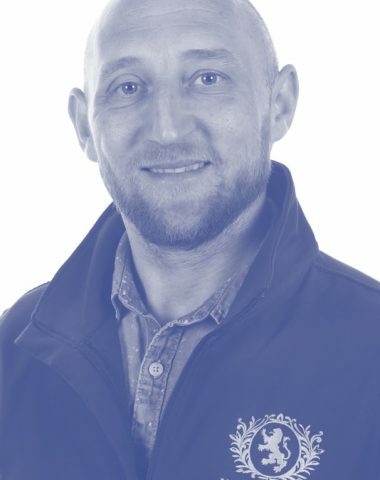 In Gary's own words "My role as Fabrication Coordinator at Lion Containers essentially involves taking over from our fantastic sales team at the point of purchase order for all fully manufactured new build containers and ISO shipping container conversions. I liaise with our fabrication teams in order to ensure each and every project is manufactured or converted exactly to the clients expectations whilst ensuring each project is delivered on time with a smooth installation." "I am excited to be working alongside such a hardworking and dedicated team of individuals and for a management team who clearly care about their colleagues. My role has me out and about meeting clients and overseeing installations giving me great variety in what I do and therefore keeping it interesting. No one day has been the same since joining the company and I couldn’t be happier with that. I am looking forward to my future with Lion Containers as there is no better position to be in than working for a market leading company that cares for its staff." "Outside of work, and my biggest achievement to date is my family. I have a wonderful young son and baby daughter. I love nothing more than to spend my spare time on days out with the family. I also love Scuba Diving, playing my guitar, swimming, reading and DIY. I think it’s safe to say that through the years I have become a very well rounded person able to try my hand at pretty much anything I set out to accomplish." "Following college where I studied Performing Arts before moving on to a Higher National Diploma in Music, I decided to take a year out to travel. I set off on my own to discover the delights of life down under spending a year traveling around Australia from my home from home in Sydney. Upon my return I secured a job at QVC as a sales representative due to having similar experience whilst working part time for Littlewoods Home Shopping Company when I was in college. I then took my first full time job at Parfetts Wholesalers where I managed clients fax orders. I then took my first long term career move into insurance working for a number of companies over the course of 9 years. Beginning as a claims handler on the theft department for Norwich Union Insurance, I was soon handpicked to join a small team dealing with high net worth claims on Norwich Unions Distinct Team due to a high level of focus on customer service during my previous role. After a number of years I moved over to Direct Line Insurance in a desk top investigative role establishing liability in disputed liability claims. In 2011 I moved abroad in an endeavour to become a Scuba Diving Instructor. I had spent 2 years becoming qualified up to Rescue Diver which is the none professional qualification prior to a professional Dive Master. I left for Fuerteventura with my brother and after 3 months we became Dive Masters before becoming Scuba Diving Instructors another 3 months later. After 2 years gaining experience up to approximately 2000 dives, we then joined forces with 2 others and bought a Dive Academy in Alicante, Spain. For a number of years we built the company up to a 5 Star Instructor Development Centre. The birth of my son brought me back to the UK in order to be close to family. I had my first insight into the world of containers working part time in a successful container company whilst also working part time as a Diver in the Sealife Centre in Manchester’s Trafford Centre. Having discovered a passion for business and an interest in container manufacturing I quit Sealife and went full time with a container manufacturer working with them for 2 years. From the first day in the container industry I gained a fantastic all round knowledge having worked in assistance with many of the different factors associated to the job. From joinery, electrical installs and plumbing to estimating, marketing and accounting. It was during this time I was introduced to Lion Containers and quickly realised this was a company I would love to work for. After a year of working together as business to business partners, I was able to move over to Lion Containers full time to dedicate my services."